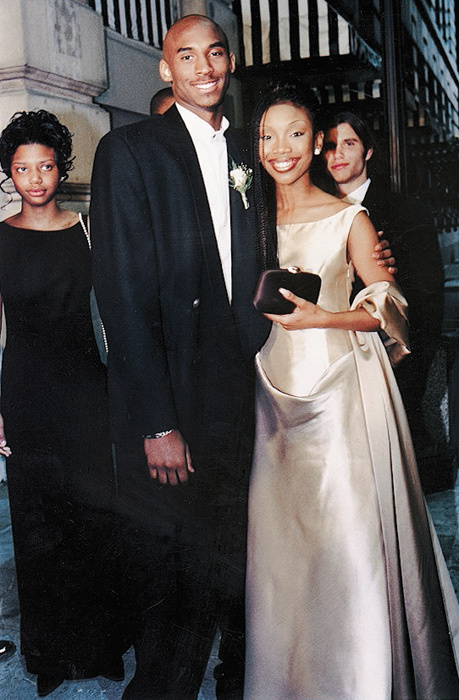 When I was 17, I didn’t get a chance to go to my own prom but that same year I was at an Essence event and this tall good looking guy comes up to me and goes “Oh my god, I’m a big fan of yours, you should go with me to prom.” ‘Dude, first of all like, who are you?’ We went through a whole resume. “I’m the number one high school basketball player in the world, my name is Kobe Bryant”. I still didn’t know who he was because [back] then I didn’t know much about basketball. I knew who Michael Jordan was but that was about it. Next thing you know, Kobe flew my mom and I out. Made me feel like a queen. It was like royal treatment and then we went to prom. I just felt like a normal 17-year-old, it was so much fun, although it was cameras and media there, it still felt normal to be in a school with kids my age. We were dancing; it just felt real. I needed that..I really needed to experience that and I wouldn’t if Kobe never asked me.